The Obama administration is proposing significant new spending on a proposed cap-and-trade regulatory scheme for fisheries — a major overhaul in fishery management and a bid to halt the decline of wild fish stocks. In its fiscal 2010 budget request, the administration is asking for $18.6 million for "catch-share programs." While that is only 2 percent of the $921 million budget proposal for the National Marine Fisheries Service, it is triple the NMFS’s request for catch shares in its 2009 budget and a ninefold increase over the $2 million it allocated for catch shares in 2008. 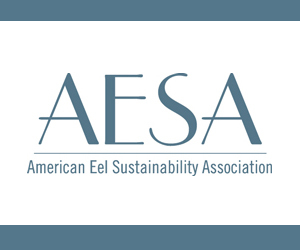 The request indicates a major push from the administration to advance the management systems, which are still in the minority but have started to appear in fisheries across the United States since a federal moratorium expired five years ago. European demand for the triangle-shaped wings of skate fish has created a prosperous skate wing industry here: Groundfish vessels offload skate wings, which are processed at local fish plants and shipped fresh or frozen to supermarkets, restaurants and institutions in France and other countries. The wings have the taste and texture of scallops and are sometimes poached in a sauce made of butter and capers. While Europeans maintain a strong craving for skate wings, managers of local fish processing plants fear the skate wing industry is in danger of collapse. New fishing regulations, slated to take effect early next year, will reduce skate wing catch limits by about 90 percent — from 20,000 pounds per trip to 1,900 pounds per trip. The new commercial fishing season that began May 1 amounts to more – or less – of the same. After 15 years of reductions in how often fishermen are allowed to work, the latest rules leave a typical boat with just 39 fishing days during the next 12 months. This season, however, may be the last of its kind. New England’s 400-year-old commercial fishery is on the verge of reinventing itself in hopes that a new way of doing business can save the industry while rebuilding populations of cod, haddock, flounder and other groundfish. The management philosophy that has relied on keeping fishing boats away from the fish is likely to be replaced by a more direct approach. 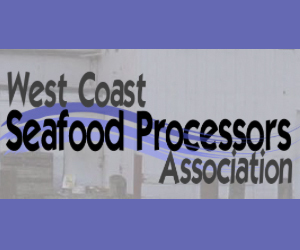 If approved as expected when fishery managers gather next month in Portland, groups of fishermen – called sectors – will each be given an annual share of the region’s overall catch quota, which they can fish for whenever they want. Read the complete story at Portland Press Herald. New England’s economy was built on the teeming fishing grounds off its shores, turning the region into an international powerhouse by the eighteenth century. The advance of technology increased the efficiency of fishing operations. Unfortunately, misguided management decisions gave an illusion of prosperity that persisted until recently; as fish dwindled, the dollars kept flowing. Today, over half of the historic fish populations are desperately overfished, a mere shadow of what they were, and the recent decade has witnessed a mass exodus of fishermen from the historic fishing industry. Now, the news reminds us repeatedly of the demise of this iconic industry. What happened to the fish that supported the fishermen and their families, poured money into our coastal communities and put food on our tables? And is there any hope for a brighter future? Read the complete story at The PEW Charitable Trusts. Fishermen are often at odds with environmentalists, but both sides are increasingly finding themselves in agreement behind a movement to jettison the current method of restricting New England fish catches in favor of locally managed fishing sectors. The Pew Environment Group released a report on Wednesday that aims to bolster the move to sectors – a change that many fishermen hope could be put in place by regulators by the start of the next fishing year in May 2010. 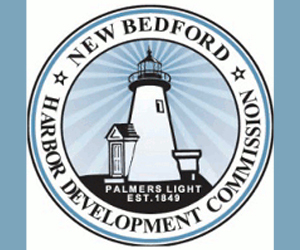 The sector system would essentially give groups of fishermen assembled by port an annual limit on the amount of certain kinds of groundfish they could catch. The fishermen could then decide how those limits would be divvied up among themselves. Read the complete story at The Patriot Ledger. Up next: spilling of secrets, range war, guinea pigs and stacked pennies. Who knew zoning could be so interesting? You’ve heard of land use planning to shape growth on land. Now it seems the great, wide ocean isn’t big enough for all the different interests that want a piece of it. The surge of wave power projects may be the final straw to bring zoning to the high seas. Correspondent Tom Banse reports from Charleston, on the south Oregon coast. One at a time, fishermen step into the back room of the Basin Cafe to spill their secrets to strangers. Bonkoski: "We’d like you to show us the areas most important to you." A detailed marine chart covers half of the corner table. A fisherman takes the hot seat and proceeds to give away his hot spots. He’s J.D. Evanow, a commercial salmon and tuna boat owner with 32 seasons on the water. Read the complete story at KUOW. 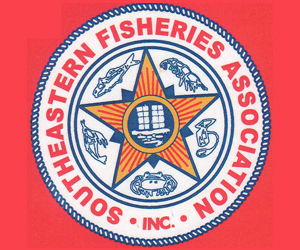 Five members of the Massachusetts congressional delegation have asked the head of the National Oceanic and Atmospheric Administration to investigate allegations of excessive penalties and retaliatory actions by the Northeast branch of the National Marine Fisheries Service’s law enforcement agency. U.S. Reps. William Delahunt, John Tierney and Barney Frank and Sens. Edward M. Kennedy and John Kerry signed the May 1 letter to NOAA chief Jane Lubchenco. They pointed out that, in 12 of the past 19 years, the agency has collected total fines exceeding $400,000. "(A) fine of tens of thousands of dollars could easily bankrupt fishermen struggling to survive in this intensely competitive business with fewer days at sea," they wrote. 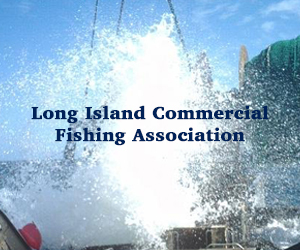 The congressmen also noted that many of the fines were for violations that are difficult to avoid given the complex suite of regulations New England fishermen operate under, and that they have little to do with saving fish stocks. Read the complete story at Cape Cod Times. Robert Spaeth of the Southern Offshore Fishing Association and Glen Brooks of the Gulf Fisherman’s Association with the support of 11 additional fisheries organizations have written to to Dr. Jane Lubchenco, the Director of NOAA. 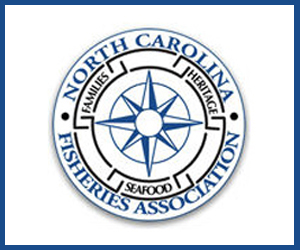 The letter conveys the groups’ "shock and disappointment" regarding last week’s action by the NMFS’ Southeast Regional Office to close commercial longline fishing for reef fish in the eastern Gulf of Mexico. The closure is for five months via emergency rule effective May 18, 2009. The announced closure extends out to the 50-fathom contour; however, the longline fishery’s principal resource is red grouper, and this species along with other species in the “shallow water grouper” complex are scarce at greater depths. Once the limited quota for deeper-living reef-fish has been harvested, this will be a de facto total closure for most of the longline fleet. Read the complete letter at S.O.F.A. 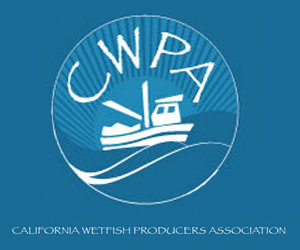 OPINION: My View by Jim Balsinger – Can gear, technique ideas solve fisheries’ challenge? One of the big challenges in New England is to find ways to fish healthy fish stocks like haddock, while leaving stocks that need to rebuild their populations. This problem confronts fishing communities around the nation, but is particularly difficult in the Northeast, where one net can often catch some 19 types of groundfish. Using Yankee ingenuity, two Rhode Island fishermen and a local gear maker, along with university and Northeast Fisheries Science Center researchers, developed, scientifically tested and then manufactured new gear that effectively targets haddock while letting other species, such as cod, to swim free. The story of how the fishermen — Phil Ruhle and his son, Phil Ruhle Jr. — and others invented a trawl, now called the Ruhle trawl, and trademarked the Eliminator, might spur other fishermen to contribute their solutions to other problems. For example, fishermen need gear or new fishing techniques that allow the catching of healthy stocks while allowing depleted flounders, such as winter flounder, to swim free and rebuild. We also need to reduce the incidental or unintentional catch, called bycatch, in other fisheries, such as the ocean herring, squid and shrimp fisheries. 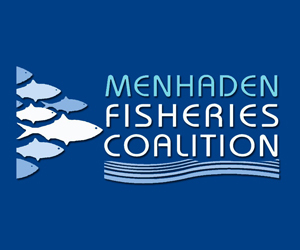 An unprecedented alliance of commercial, recreational and party/charter boat fishermen and associated businesses has formed Fishermen Organized for Rational Dogfish Management (FORDM). FORDM has requested assistance from Dr. Jane Lubchenco, newly appointed National Oceanic and Atmospheric Administration head, in dealing with an out-of-balance population of highly predatory spiny dogfish that is depleting other Northeast and Mid-Atlantic fisheries. Scientists estimate their biomass at up to four billion pounds. The classic Fishes of the Gulf of Maine says of this shark species, ‘voracious almost beyond belief, the dogfish entirely deserves its bad reputation. Not only does it harry and drive off mackerel, herring, and even fish as large as cod and haddock, but it destroys vast numbers of them… they prey on practically all species of Gulf of Maine fish smaller than themselves.’ Spiny dogfish can exceed 5 feet in length. Read the complete story at Jaymann Today.